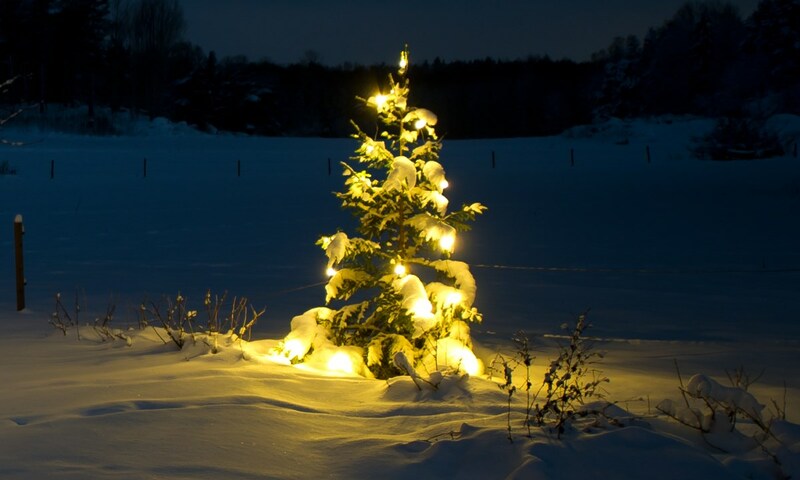 ...we wish you a Merry Christmas, we wish you a Merry Christmas - and a Happy New Year! Play bark for the mud kitchen! 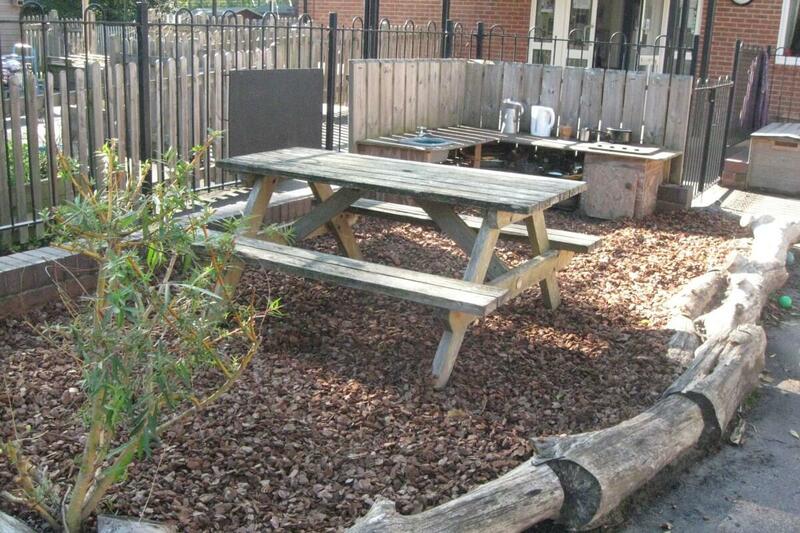 Gardenscape had the pleasure of donating and delivering some play area pine bark to Sissinghurst VA Church of England Primary School. The Lion Class got its mud kitchen and bug hunt area filled up again - the last delivery was seven years ago so it's not surprising most of it had disintegrated. Here you can see a much improved kitchen area - safe and fun again.
" I have a very happy class of children who can now use our mud kitchen and bug hunting area once more" said Mrs K. Lyon from the school staff – we are very happy to have been able to help! As the evenings draw in and temperatures fall, now is the time to think of - manure! To give next year's vegetables the best possible start in life, order a load of composted manure. Then, once you have cleared the vegetable bed and the soil temperature has fallen to winter levels (probably in November or so - depends on the weather of course) spread a layer of about 6 inches thickness all over the bed and just leave it over the winter. 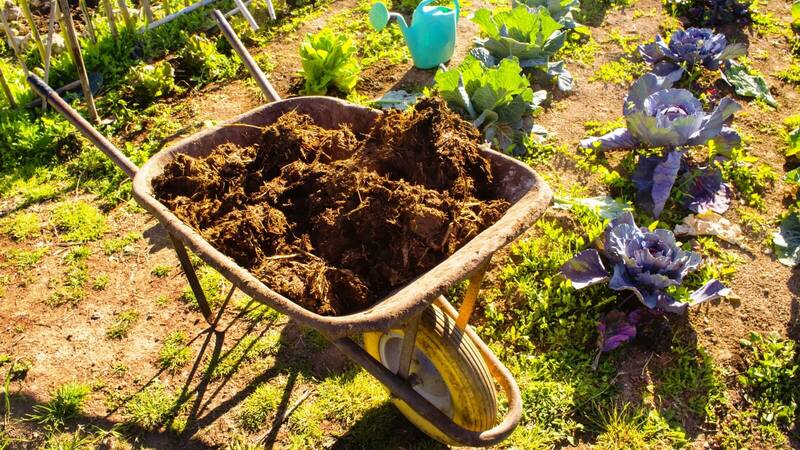 The manure will slowly settle in to the soil, so that, when it is workable again in spring, you can easily dig it in and then plant your vegetables. It is important to wait until the temperatures have dropped though, otherwise the nutrients will leach away before they have a chance to get absorbed by the soil. Apart from the nutrient value of organic matter like manure, it also acts as a mulch and holds down the weeds - at least for a while. But weeding the vegetable patch is a task that will never fully go away! Our new office block has come into being, thanks to some spectacular teamwork by a Yorkshire haulage firm and a Kentish crane operator. As you can see from the picture above, the units fit right into the environment... well, they will do when the works surrounding them are finished. There will also be some interior changes and upgrading to be done, so it may be a little while before we can make full use of the extra space becoming available. Watch this space! Here is a picture of some 1,700 tonnes of prime cricket loam (a.k.a. Surrey loam) ready for bagging at our Sevenoaks depot. It will be processed in our new bagging unit, palletised and sent out to waiting customers all over the Home Counties. But what on earth (err...) is cricket loam and what makes it so special? The ECB (England and Wales Cricket Board) explains it in their maintenance guidelines document, which is the bible for groundsmen around the country. Essentially, it is a type of topdressing with around 30% clay content, which is used at the end of the cricket season to repair wear and damage to cricket squares. The clay content ensures suitable and consistent bounce during play. A greater clay content gives higher performance but requires more maintenance, as it will be more liable to drying out and cracking. Therefore, the recommendation tends to be for a clay content of 28-35% for first class cricket, but more like 25-28% for school pitches. Ultimately, it is the soil's "breaking strength" which determines its suitability, and this is dependent not only on clay content, but also on the other components of the loam. The guidelines explain how to test your soil - please refer to them for details. Most importantly, though, the loam applied must be compatible with the existing soil. If not, it will create layers where the different types of soil dry out (and therefore shrink) at different rates. Such layering affects the bounce, is prone to damage and provides an unsuitable environment for good quality grasses. Again, the guidelines explain how to check soil compatibility. 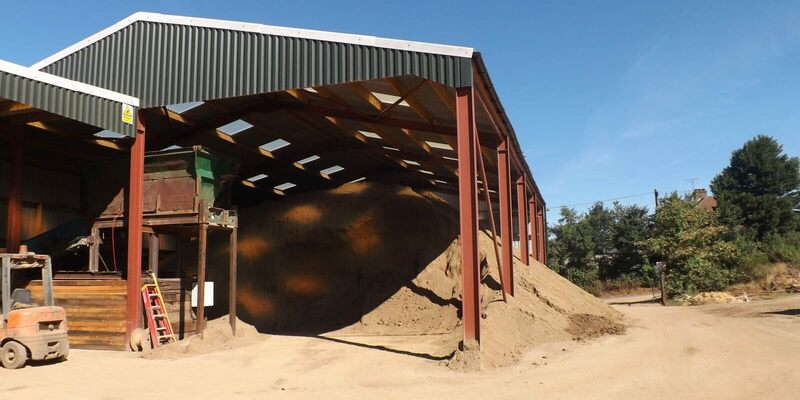 We have been producing and supplying cricket loam to a high degree of consistency over the last twenty years, and have it tested by the STRI to ensure its quality and suitability. This year's supply is now ready to be shipped. 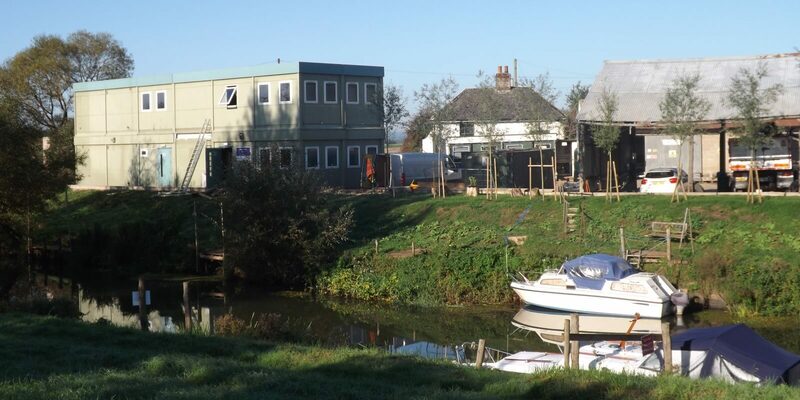 Full details on the Bourne Amenity and Gardenscape websites.